Agile is here to stay. There are four general beliefs that Agile processes have in common. Develop in short cycles. Agile iterations or "sprints" are no more than 30 days each - or even shorter. Partial solutions should be up and running in a very short time, with very tight iterative cycles designed to deliver continually working code that is built up to a final solution. Value the people. People should be valued and treated with respect. Managers should trust them to do a good job and get out of the way. Agile teams work on a challenging but steady pace that can theoretically be sustained indefinitely. Involve the client. If you are going to achieve the rapid results, the client must be an integral part of the project team. In fact, they should be assigned full-time and co-locate in the same physical space as the rest of the team. Strive for simplicity. If you have a choice between building something in a sophisticated way or a simple way, choose the simple way. Requirements should be simple, design work simple, and the coding techniques should be simple. The Agile approach states that client value comes from working code. So, instead of creating traditional project documentation, Agile focuses on minimal documentation (minimal - not no documentation) and the delivery of working code. If you have an Enterprise license, you can publish the content for your licensed users of your organization. 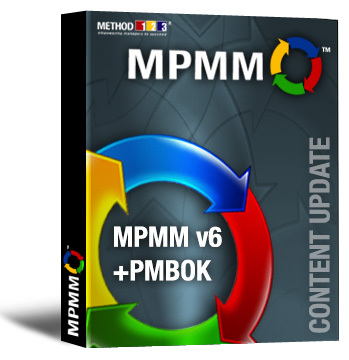 When you download and install MPMM you will see a separate section for the Agile content.